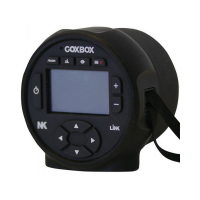 CoxBox GPS and CoxBox Core are the next generation of marine audio systems for coxed rowing shells. Completely redesigned, these new models retain the main functions that coxswains have come to rely on, and surrounds them in a more powerful, efficient, streamlined form. 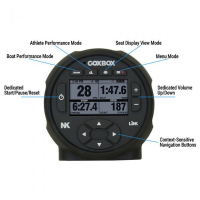 Choose from a full featured GPS model that incorporates all the performance measurements of SpeedCoach GPS units, or select the Core model that features audio, stroke rate, and elapsed time. 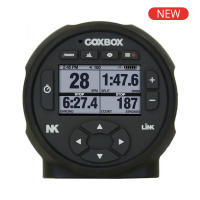 Completely redesigned, CoxBox Core retains the main functions that coxswains have come to rely on, and surrounds them in a more powerful, efficient, streamlined form. No more dealing with sensors or magnets. Monoblock™ connector port relocates microphone, speaker/charging and data ports away from the face of the unit, creating better readability and simplified serviceability. 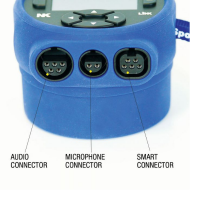 CoxBox GPS combines the most popular features of our world-class SpeedCoach GPS and integrates those capabilities directly into the new CoxBox architecture. » Integration with soon-to-be available SMART modules, such as seat displays, impeller pod, integrated boat lights, and rapid charging. CoxBox GPS is designed to interface with NK LiNK Logbook, our new cloud-based workout analysis platform. Using the free App on your mobile device, you can upload workouts to a free, private account and then use the tools provided to store and analyse workout sessions. Coming in early 2019, you will be able to use CoxBox GPS with NK Link Logbook's Team accounts, which offer wireless streaming to the cloud, privacy settings for anonymous workouts, and simultaneous data comparison between boats (or even seats!). 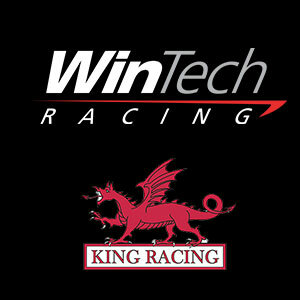 Visit NK LiNK Logbook for more information. 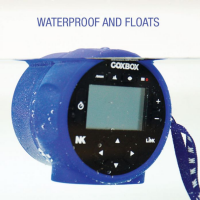 Display Size 3.6" x 2.6" x 1.2"
(92 x 67 x 31 mm) 3.6" x 2.6" x 1.2"
(92 x 67 x 31 mm) 2.75" x 1.5"
Charging Time Standard Charger: 12 hrs. Espresso Charger™: 4 hrs. Standard Charger: 12 hrs. Auto roll-over at 1 hour. 1/100th sec. resolution.